Get the most out of your website with an integrated website marketing strategy! What is an integrated website marketing strategy you may ask? And what does that short statement actually mean? That’s okay. Most of us go slightly squint when these technical terms are flung our way, which is why it’s just as well we have website developers and SEO marketing gurus out there to help us put it all together in a way that makes sense! What’s even better, is that if you choose a team of website developers and online marketing wizards like the one at Netgen, fully integrated affordable website design in South Africa is right at your fingertips. Google, holding a 90% bite of search engine action, processes over 40 000 search queries every second, on average, 3.5 billion searches a day and 1.2 trillion searches a year, worldwide – what say you to grabbing a nice little bite out of this for your company? These are the basics of the pieces that come together for an integrated website marketing strategy SEO can lead to for you. No doubt, by the time you get together with the web developers at Netgen, you will already have a pretty clear idea of what you’d like your website to look like and how you’d like it to work. If you already have a website up and running, getting down-to-earth advice in terms of analysing your website, to check out its inner and outer workings as the groundwork for any tweaking it may need. It’s a process that’s going to be made that much easier to nip and tuck here and there, with the benefit of tech experience on hand that ensures laying a good foundation for online business growth. You don’t need to spend a fortune on the design of your website, if it’s well-constructed and user-friendly, you’re already off to a good start. In any event, Netgen specialises in WordPress website design in Cape Town for individuals who want a simple brochure-type site, small to medium businesses who are looking at a more interactive website, or a large company looking for a data-driven, e-commerce custom website…and they know exactly how to make the most of any budget, large or small. When someone clicks on your website, you want to make it as easy as possible for them to navigate their way around and to find the things they are looking for without breaking a sweat – this is one way to lose someone before they even look at what you have to offer. It’s an old adage, but holds absolutely true in our high-speed internet-based business world: money is time and time is money. No one is going to sit around waiting for your website to open if it’s loading too slowly. They’ll move on in a flash! Can’t ignore this, not with a major percentage of the searches mentioned above happening in the palm of the hands of millions of mobile phone users! If your website isn’t already mobile-friendly, get there, and fast! It may be last on this baby list, but, content is where you get search engines to notice you, and since Google has the biggest bite of all search engines, it’s on that first page that you want to be. 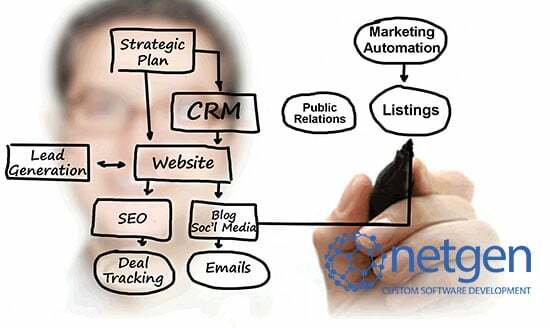 Netgen will lay it all out for you in a way that you’ll be able to form a mental picture of just how the right content can up the ante for your company on search engines. In terms of Search Engine Optimisation (SEO), you won’t be in better hands. Provided that the content (words & phrases) on your website is relevant to online searches for your product or service, you’re on the right road. The menu of options to add SEO, blogs, Organic search engine results and Google PPC (Pay per Click) advertising at Netgen is a smorgasbord to dive into, mixing and matching what suits you best. There a few more digital tools the team at Netgen adds into the mix, without breaking the bank, on the way to handing over a website that will really work for you – and you won’t get stuck with stuff you don’t need! Contact the Netgen team to proudly present you with the whole package bundled into a size to suit your budget, with backup and support that’s going to be around for a very long time to come! Previous PostDon’t know your API from your SQL in software development lingo?